Talbot County is a county located in the west central portion of the state of Georgia. The 2010 census showed a population of 6,865. Talbot County was created on December 14, 1827. 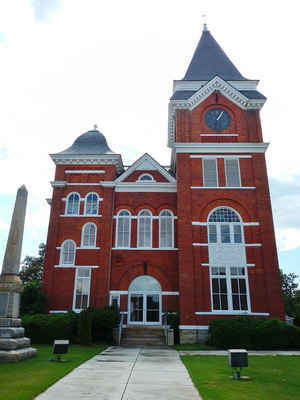 The county seat and largest city is Talbotton. The county is named in honor of Matthew Talbot (1762-1827), served in the Georgia State Senate for 15 years, including two years as the President of the Senate, and the Governor of Georgia for two weeks in 1819. The county and county seat, Talbotton, were named for Governor Matthew Talbot, who was serving as president of the Senate when Governor Rabun died. Talbot County, Georgia's 74th county, was created in 1827 from part of Muscogee County. The county and county seat, Talbotton, were named for Governor Matthew Talbot, who was serving as president of the Senate when Governor Rabun died. The first session of the Georgia Supreme Court was held on January 26, 1846 at the old Claiborne Hotel in Talbotton. Here, the state's first fifteen attorneys were sworn in and qualified to practice law. Lying at the edge of the coastal plain, Talbot used to be at the ocean's edge. Now the county has large deposits of white sand which provides 90% of the United States' golf courses with their sand. "Magic Hill," in Talbot County, is located at the foot of Pine Mountain. It is so named because of the illusion that a car with its brakes released appears to roll uphill on the road. 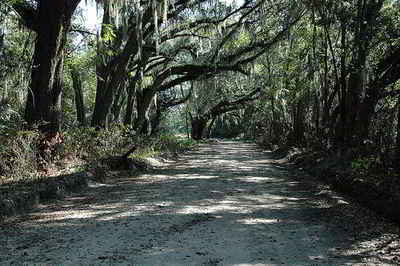 The county is also home to the Big Lazer Creek Wildlife Management Area. Lazarus Straus, an immigrant from Bavaria, settled in Talbot County with his family and established a business which was the forerunner of Macy's department stores. Straus' sons, Isadore, Oscar and Nathan, were known nationally for their leadership in business, diplomacy and health reform, respectively. As reported by the Census Bureau, the county has a total area of 395 square miles (1,020 km2), of which 391 square miles (1,010 km2) is land and 3.4 square miles (8.8 km2) (0.9%) is water. 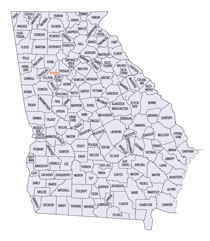 Talbot county is located close to the center of Georgia. The county is in the Flint River basin and the Chattahoochee River basin.